Running out for ideas for Christmas gifts? To try and save you a bit of head-scratching, Hugo’s lined up a sackful of inventive and bizarre gifts. This one’s for the single ladies. Give them the gift of a man’s hug – without the snoring, rolling around in bed or random bursts of flatulence. 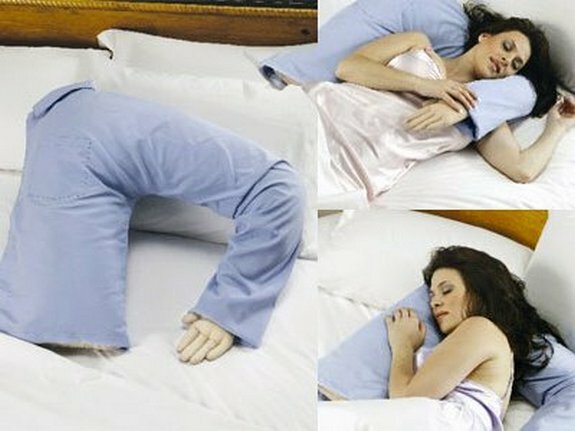 Now they can feel loved and enjoy a good night’s sleep at the same time! Sultry-looking brunette not included with product. Is it a teddy bear? 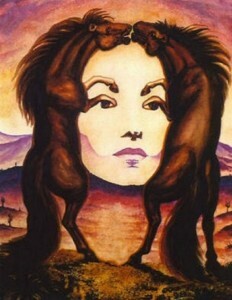 Is it a lamp? Whichever way you choose to see it, the Teddy Bear Lamp certainly adds a nice furry touch to a room as he sits quietly on a nightstand. 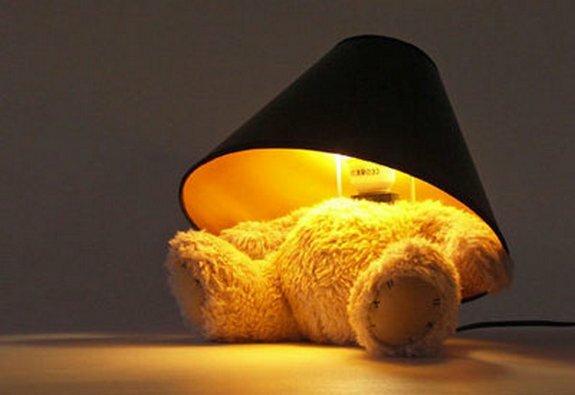 Hugging bear/lamp to sleep not recommended. Have a mate who’s always late because he or she can’t wake up? Introduce them to Clocky. 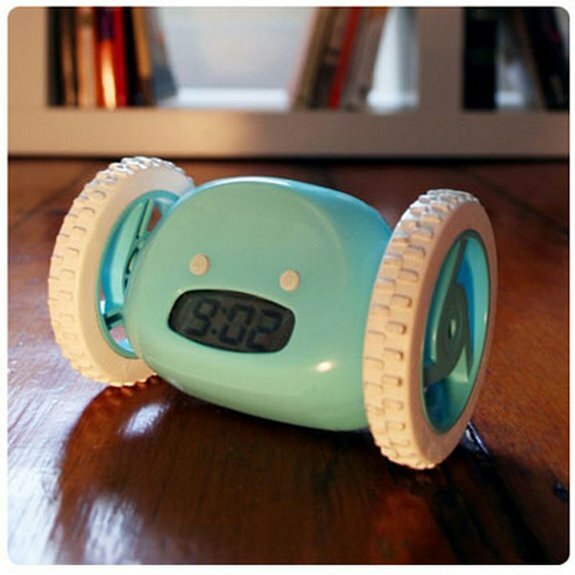 This intelligent alarm clock jumps off your nightstand and runs away if you press snooze the first time. It then rings again and keeps running around the room until you get up eventually! 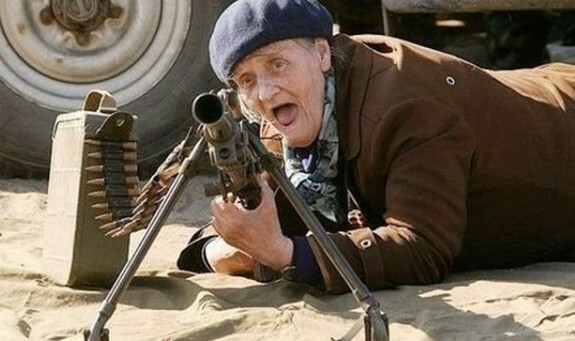 Your mate will never be late again. Here’s one for the mate who has funky breath no one dares to tell him about – a box set of 31 tubes of toothpaste. The set consists of exotic flavors such as Indian Curry, Kiwi Fruit, Bitter Chocolate, Cola that will ensure you won’t have to hold your breath the next time you meet up. Here’s a way to get some milk for the kids, minus all the messy udder squeezing business. Simply put milk power into mug, add hot water, press the button on the handle and voila! 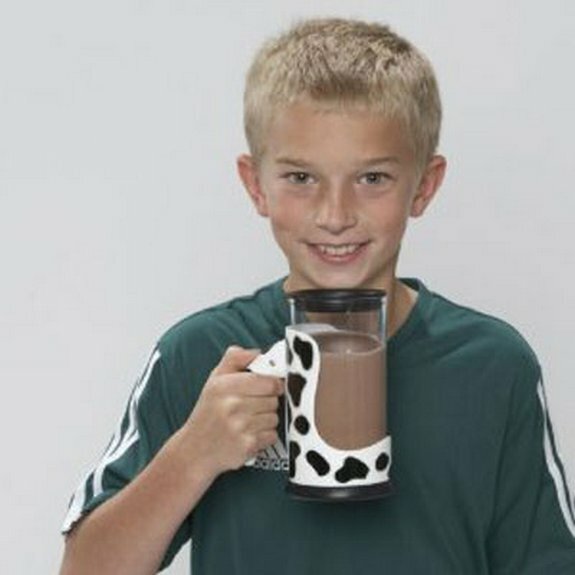 Hot chocolate milk in your hands.